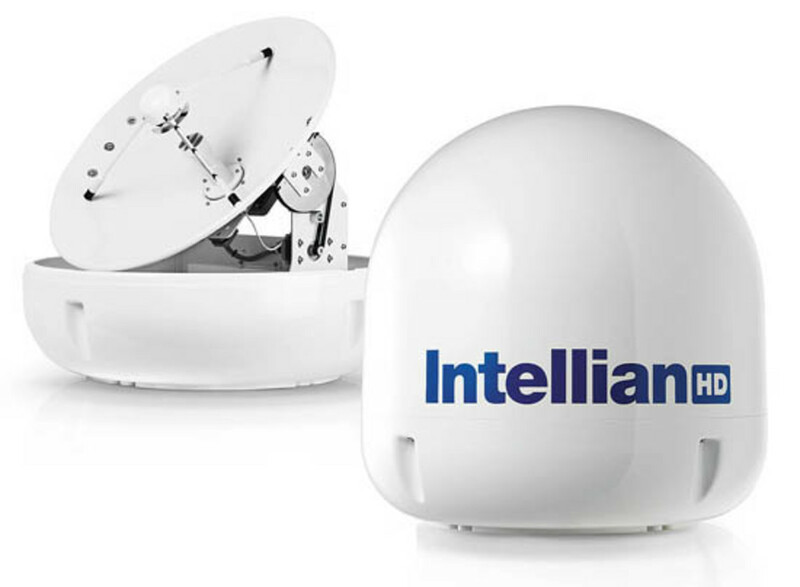 Intellian’s new antenna that can look in three directions at once. 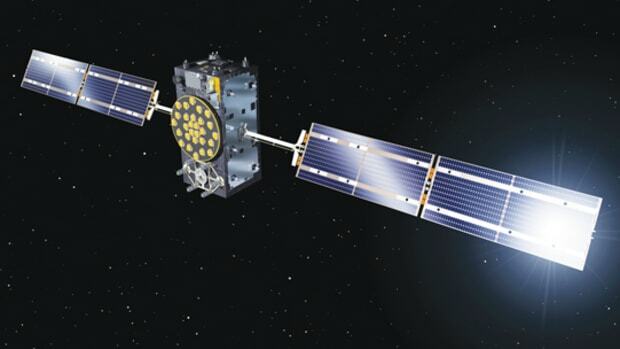 DirecTV may be America&apos;s most popular satellite TV service, but how many of us realize that its signals don&apos;t all come from one satellite but rather from a dozen of them? 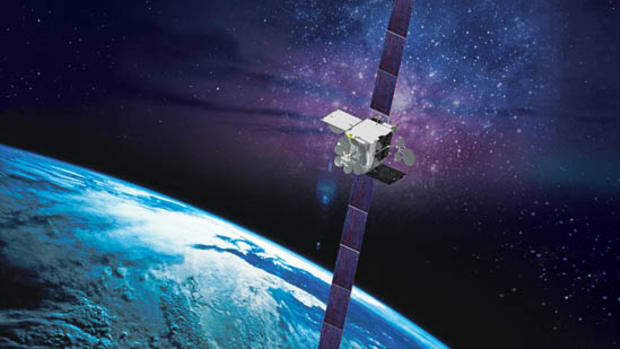 The ones that supply most of our programs are clustered above the Equator, at 99W, 101W and 103W. 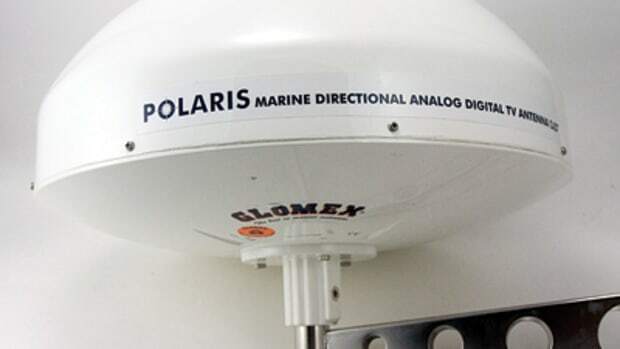 That’s why DirecTV dishes ashore usually have three separate low noise blocked (LNB) receivers. 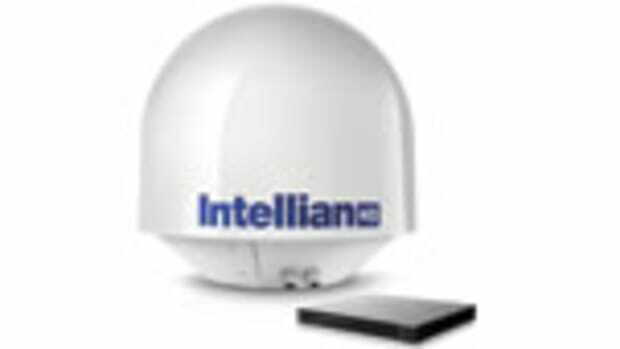 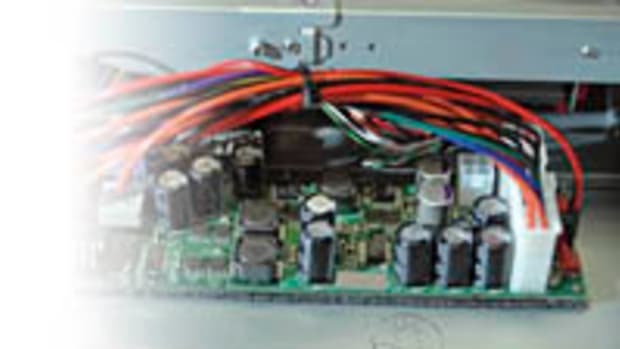 That’s not a very practical proposition for a stabilized marine dish, so Intellian has come up with a clever yet remarkably simple alternative. 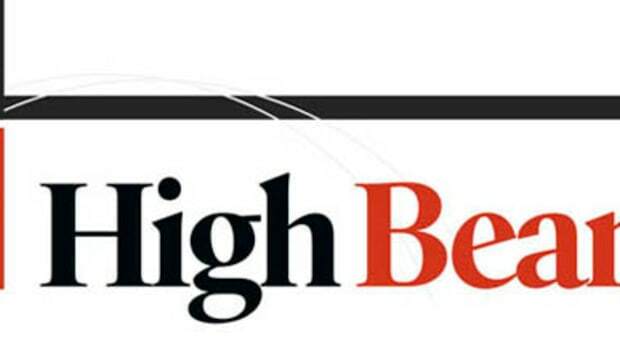 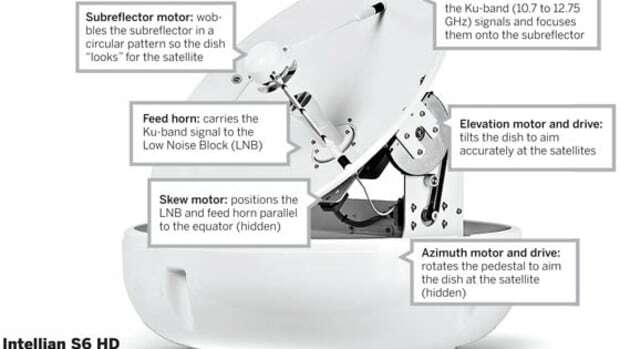 In most marine antennas, the dish focuses the incoming signal onto a secondary reflector, which bounces it down a tubular “horn” to an LNB mounted behind the dish. 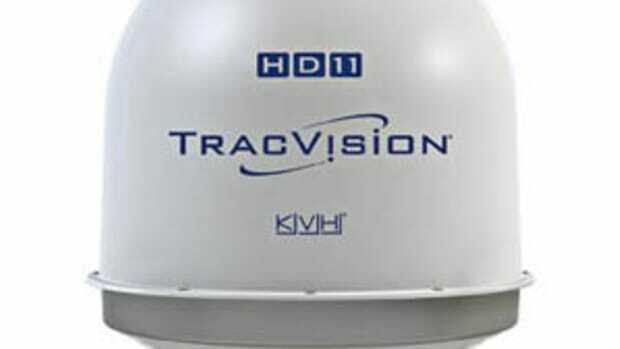 Instead of a single horn, the S6HD has three, one for each of the three main clusters of DirecTV satellites. 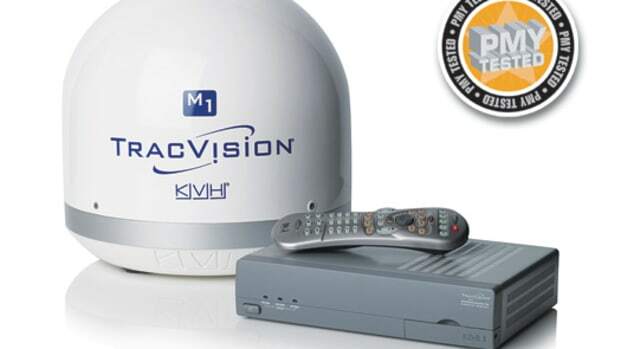 Combined with a multiband LNB, this means that you can switch from one channel to another without having to wait while the dish realigns to a different satellite—or that you can have an athletic event on one TV and a film on the other at the same time.